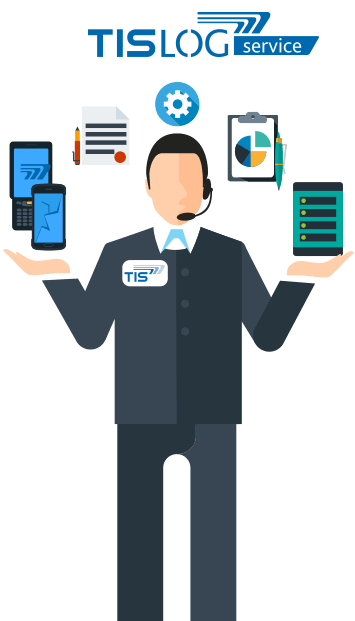 TISLOG mobile offers powerful and flexible software solutions for mobile order management, capable of exactly what you need for your individual work processes in the company. 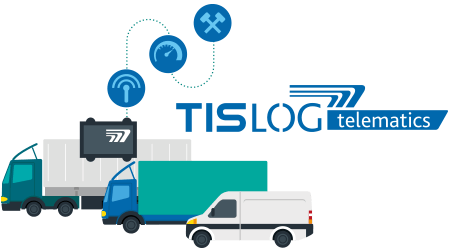 TISLOG mobile offers sustained continuous monitoring of goods movements throughout the supply chain and always ensures comfortable, secure data exchange between drivers and your headquarters. Whether TISLOG mobile enterprise, PSV3 or Smart - choose the ideal telematics solution for your needs. ideal for use of chartered subcontractors. with TISWARE we provide you with powerful mobile devices from leading manufacturers, optimal for use under the most demanding conditions on the road and in warehousing. TISLOG intra reliably supports you with control and optimization of your material and product flows in the warehouse. Whether handling facility or warehouse - with our TISLOG intra software for warehousing, you always have access to all the features you need for fast-flowing, flawless work processes in intralogistics: Scanning of barcodes, interface control, damage documentation, dimensioning and more. Your business requires both software solutions for the road, as well as for the warehouse? Combine TISLOG mobile and TISLOG intra - and with a single click switch between the configurations for the road and the warehouse on the same device. This saves you money on the hardware - and you can fully rely on the dependable TISLOG telematics system in any environment. With TISLOG mobile for the road your drivers have full access to all functionalities for mobile order management - and can send all relevant data to the control center in real time. Subsequently with one click your device turns into an intelligent warehouse scanner. 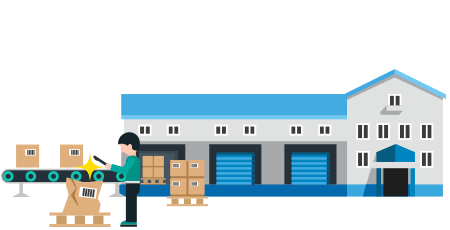 TISLOG intra supports your employees in effective management and optimization of your material flows and flows of goods in warehousing. Document stocks and movements, loading and unloading of vehicles, damages, deviating quantities and more. With one click your device is switched back to the mobile data terminal for your data collection on the road. TISLOG office is the browser-based administration console that helps you to easily control and manage all mobile devices, processes and flows of goods from your headquarters. TISLOG office guarantees efficient fleet management and fast communication with your drivers - and at the same time allows for seamless control and optimization of material flows and flows of goods in the supply chain and for effective warehousing. TISLOG telematics provides reliable, automated transfer of your GPS, speedometer and FMS data. Location, driving time data of the driver for dispatchers, driving style analysis, data for expense reports and for minimum wage and evaluations as well as speedometer remote download are just some of the telematics functions in the vehicle that will be available to you with TISLOG telematics. The data are analyzed in TISLOG office and visualized and evaluated in Infodesk, for example for driving time controls or driving style analysis. Combined with TISLOG mobile the vehicle and the driver merge into a communication unit that provides all relevant data for your mobile order management in your head office. Besides our software the TISLOG telematics solution also includes our TruckBox for your vehicles, a telematics box that automatically captures all relevant vehicle and driver data in the background and transfers them to your head office. From process analysis, over concept design to implementation and ongoing Service & Support - upon request the TIS experts assist you 24 hours a day, 7 days a week. In the scope of service contracts, we offer complete technical support and manage your software and hardware as well - also with a care-free package option, including repair services to make sure that your drivers have working handhelds available at any time. Full service for equipment repairs = drivers have working handhelds available at any time.